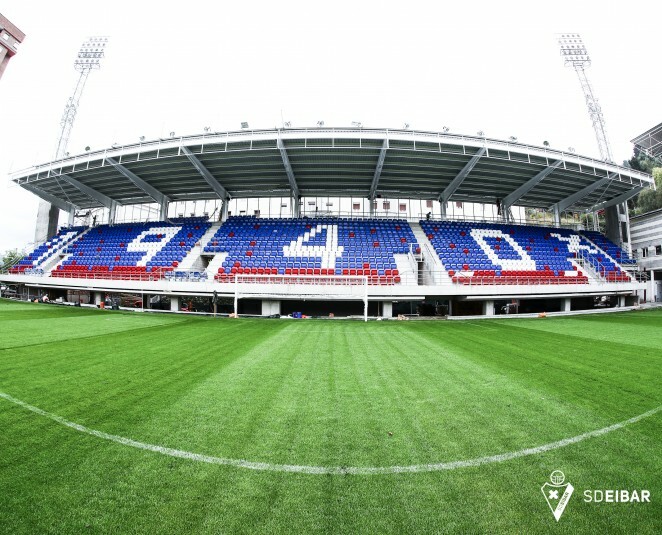 The completion of the renovation work on Ipurua's East Stand has brought the stadium capacity to 7,083. Meanwhile, the work on the interior spaces, which - amongst other amenities - is set to feature a museum and an official club shop, is ongoing. The renovation work on the East Stand got underway on 9 May 2016 with the demolition of the former stand. The first significant landmark in the redevelopment work came on 17 October when half of the new stand was opened for the CA Osasuna game. On 19 November the rest of the stand was opened, barring the corner which links it to the North Stand. This corner section, which was opened on 22 January for the SD Eibar v FC Barcelona game, features a new area for the media, plus seating for supporters. During the course of the last few months, various different improvements have been made to Ipurua in order to satisfy La Liga's broadcasting requirements. This has seen changes made to the tunnel area and the creation of spaces for television cameras, renovations to the press area and the construction of a TV studio above the club's txoko canteen.